This One-of-a-kind custom made bracelet is designed by industry designer Alex - The Jewel Master. 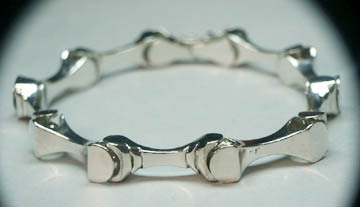 The whole bracelet contains bones in all sections. 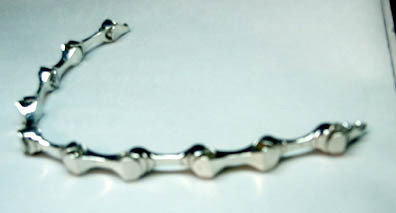 All links are solid sterling silver & all of them are flexible. Total length is 8 inches long. Present weight is 39.6 grams. Width is 8.5 mm. Can be worn by men or woman.